22 even the righteousness of God, through faith in Jesus Christ, to all and on all who believe. For there is no difference; ”Romans 3:22” – New King James Version (NKJV). As we read the Feast we see that the promise made to Abraham of a son by Sarai, will be fulfilled. 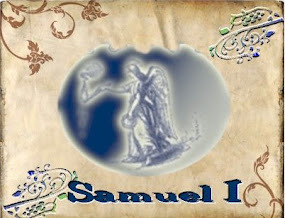 God changes Sarai’s name into Sarah; “15 Then God said to Abraham, “As for Sarai your wife, you shall not call her name Sarai, but Sarah shall be her name. 16 And I will bless her and also give you a son by her; then I will bless her, and she shall be a mother of nations; kings of peoples shall be from her.” ” Genesis 17:15-16 New King James Version (NKJV). When God blesses us we should thank Him. When we do any good work we must recognize that it comes from God and give Him the glory; “23 Whoever offers praise glorifies Me; And to him who orders his conduct aright I will show the salvation of God.”” Psalm 50:23 NKJV In everything we do let’s be imitators of Jesus; “15 but as He who called you is holy, you also be holy in all your conduct, 16 because it is written, “Be holy, for I am holy.”” 1 Peter 1:15-16 NKJV keeping that first thing (salvation) first! “Oh, give thanks to the Lord! Call upon His name; Make known His deeds among the peoples!” 1 Chronicles 16:8” – New King James Version (NKJV). As we read the Feast we see that Abram and Sarai, decide to help God out. What is the results of this “HELP.”; Sarai took Hagar the Egyptian, her servant, and gave her to Abram, he got her pregnant and now Sarai runs Hagar off because she is having Abrams child which is going to be a pain to in the side to everyone; “11 And the Angel of the Lord said to her: “Behold, you are with child, And you shall bear a son. You shall call his name Ishmael, Because the Lord has heard your affliction. 12 He shall be a wild man; His hand shall be against every man, And every man’s hand against him. 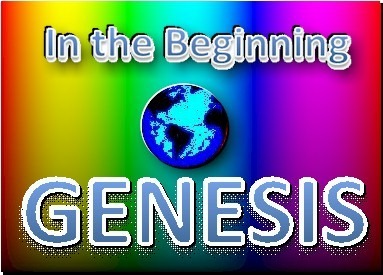 And he shall dwell in the presence of all his brethren.” Genesis 16:11-12 New King James Version (NKJV). You know people are always trying to help God. Fisherman; “Hey man you need to accept Jesus as your savior!” Fish; “I know it man but I gotta cleanup a few things (helping God) before I do.” I learned something along time ago from a pastor, he said; ”Jesus cleans the fish after he catches them.” That’s it The first thing first salvation through our Lord Jesus Christ! Then he’ll clean up those things. Don’t help God out wait on the Lord! So if you don’t know Jesus don’t be the fish. Follow him and he will make you a fisher of men. “9 The Lord is not slack concerning His promise, as some count slackness, but is longsuffering toward us, not willing that any should perish but that all should come to repentance.” – 2 Peter 3:9 – New King James Version (NKJV). As we read the Feast we see God made a covenant with Abram; ” 5 then he brought him outside and said, “Look toward heaven, and number the stars, if you are able to number them.” Then he said to him, “So shall your offspring be.” 6 And he believed the LORD, and he counted it to him as righteousness.” Genesis 15:5–6 New King James Version (NKJV). We are part of that promise and if we accept Jesus as our savior it is counted to us for righteousness! “18 “Come now, and let us reason together,” Says the Lord, “Though your sins are like scarlet, They shall be as white as snow; Though they are red like crimson, They shall be as wool.” Isaiah 1:18 NKJV That’s it The first thing first salvation through our Lord Jesus Christ! “17 But he who is joined to the Lord is one spirit with Him.” – 1 Corinthians 6:17 – New King James Version (NKJV). Here we see Abram keeps his vow to God; “22 But Abram said to the king of Sodom, “I have raised my hand to the Lord, God Most High, the Possessor of heaven and earth, 23 that I will take nothing, from a thread to a sandal strap, and that I will not take anything that is yours, lest you should say, ‘I have made Abram rich’— 24 except only what the young men have eaten, and the portion of the men who went with me: Aner, Eshcol, and Mamre; let them take their portion.”” Genesis 14:22-24 NKJV. You and I should strive to live godly lives! “5 Therefore be imitators of God as dear children. 2 And walk in love, as Christ also has loved us and given Himself for us, an offering and a sacrifice to God for a sweet-smelling aroma.” Ephesians 5:1-2 ESV. There is nothing in this world that can (see Romans 8:39) separate us from the Lord Jesus Christ! Just Do it, in Jesus Name! “13 Therefore gird up the loins of your mind, be sober, and rest your hope fully upon the grace that is to be brought to you at the revelation of Jesus Christ;” – 1 Peter 1:13 – New King James Version (NKJV). When we receive God’s grace like Abram, we should praise him with humble praises and thanksgiving. “18 Then Abram moved his tent, and went and dwelt by the terebinth trees of Mamre, which are in Hebron, and built an altar there to the Lord.” Genesis 13:18 NKJV. When we accept Jesus as our savior it is counted to us for righteousness! “Come now, let us reason together, says the LORD: though your sins are like scarlet, they shall be as white as snow; though they are red like crimson, they shall become like wool.” Isaiah 1:18 ESV. That’s it The first thing first salvation through our Lord Jesus Christ!